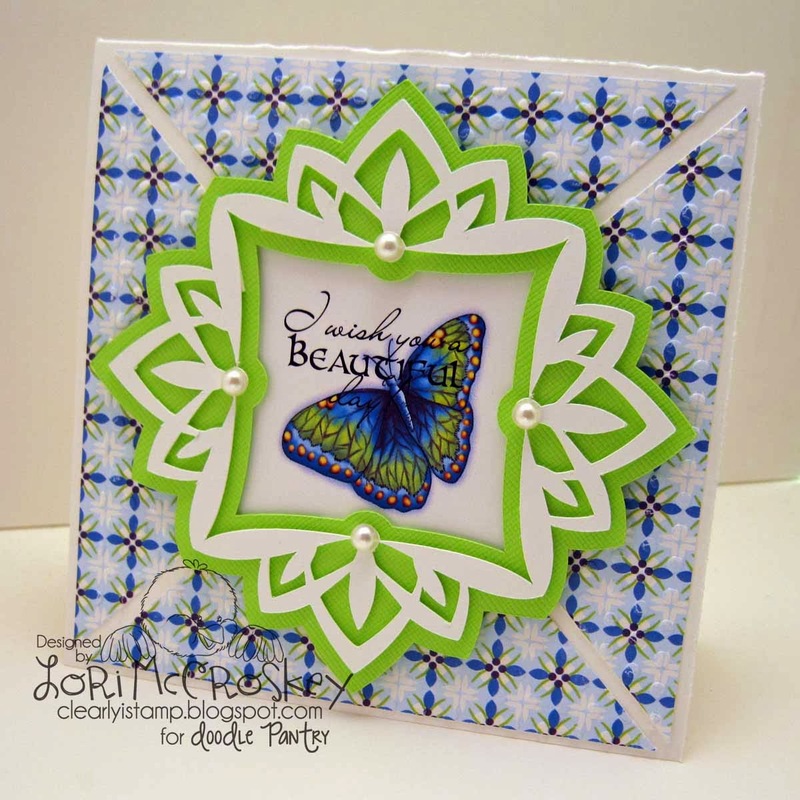 Clearly iStamp: Create cards quick with Card Cuts 4 SVG file! Create cards quick with Card Cuts 4 SVG file! Back again today for another product focus! will be emailed the complete set of my SVG Releases for March! The winner will be announced on Monday the 10th! Come back tomorrow for some more inspiration! I love using these card cut files.....they just make it easy to create a set of cards as gifts or as items to make a little extra money! Don't forget they can be enlarged to make frames for scriptures and scrapbook pages! Go to Card Cut 4 SVG in the store here! 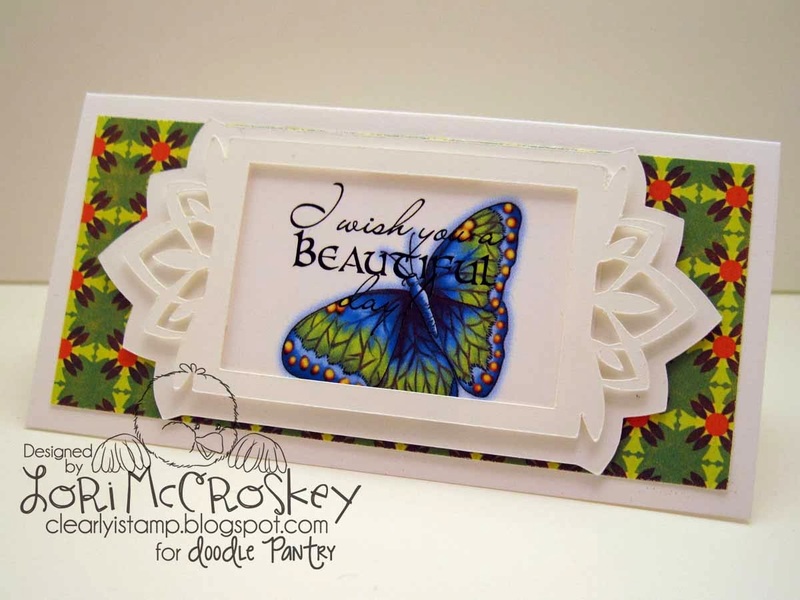 Here is my first card I made with this Card Cut 4 SVG cutting file. I just love white space on cards! Next, I decided to make a card set. I just started cutting and decided to make as many cards as I could with my cuts and even my cutting mistakes and scraps! This little card I made because I had the little paper scrap that was 2.5 x 5 ish in size. I think the little label looks really cute over it! On this card, I needed my background paper to be a little larger than what was printed. I decided to cut it diagonally in quarters and then emboss it. 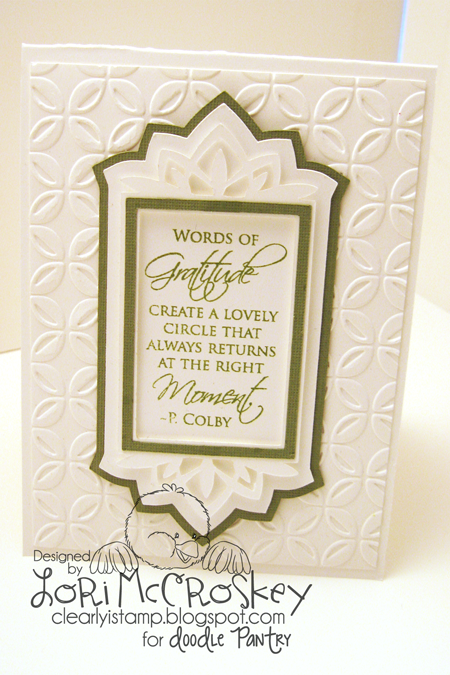 This gave me just the right amount of white space that points right to my focal point of the card! The center frame has a little circle space just right to hold pearls! This card I gave a lot of white space to the background! I really like white space! The image I printed out of Publisher. I decided I wanted the butterfly to be a little bit lighter so the words showed up better. So I adjusted the brightness under the format tab to +10% which lightened just enough to make the words show better! Brightness on the far left of the Format tab. This card I had an even smaller amount of printed cardstock to work with, so I scored the outside edge of my card at 1/2 inch on each side. I then quartered my square of background paper and aligned it within the square the score lines created. 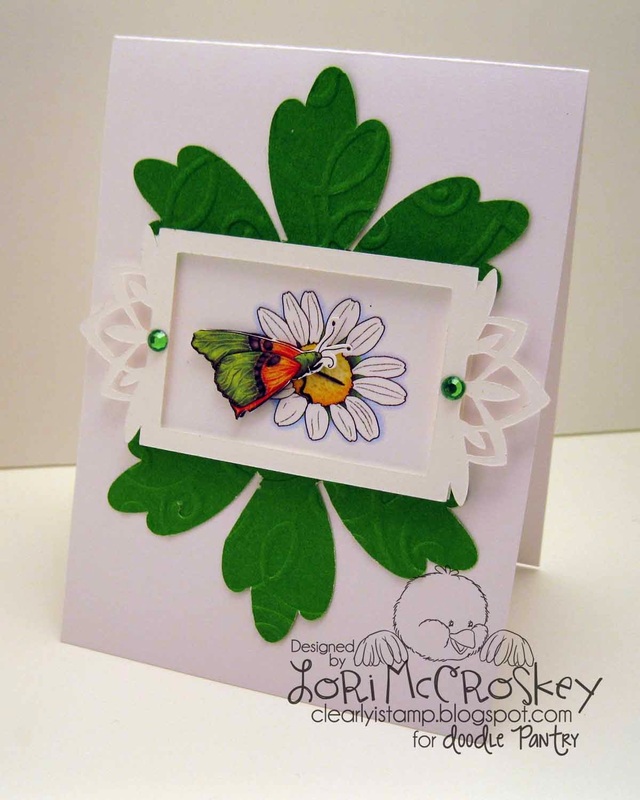 I wanted my image to look dimensional so I cut out the little butterfly and put him on with pop up foam. Here I had these scraps of green from cutting out my Paper Cuts Flowers page. They seemed to look nice with this image, so I tacked those on as an embellishment! 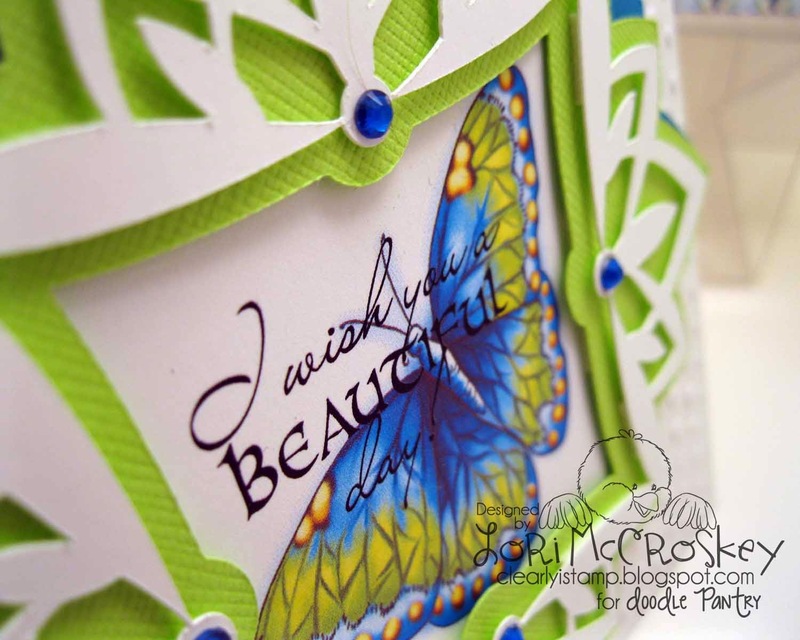 In hindsight, I wish I would have put a white embossed layer for the entire backdrop of the card. Here you can see the layers of my card. I put dimensional foam between all the layers. The reason I started doing card cuts is so I could have options to layer my printed digital images with my frames so I wouldn't have to try and get my cutting machine to cut it correctly. trim the image to layer behind the frame and just very sloppily chop it off to fit. See you tomorrow to show you some more creating I've been doing! Gorgeous colors! Wonderful designs. Really special cards. I love them all. 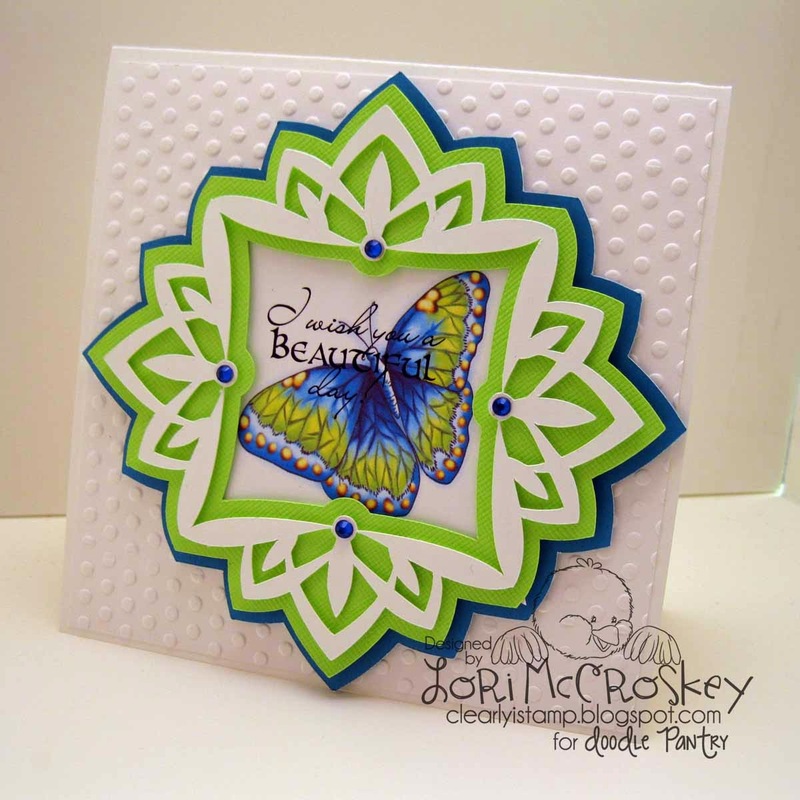 This makes such a gorgeous frame for the center of a card! 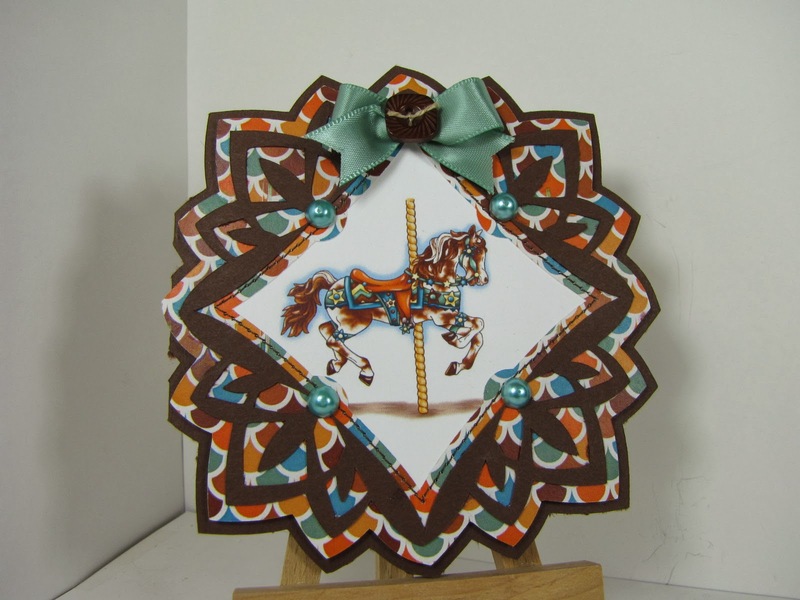 I love the carousel horse card...what neat and detailed cards! Tweet Birdhouses SVG....how tweet it is!